Beasts on the field and passionate at heart, the Lady Sheiks have almost come to a close to their 2016-17 soccer season. 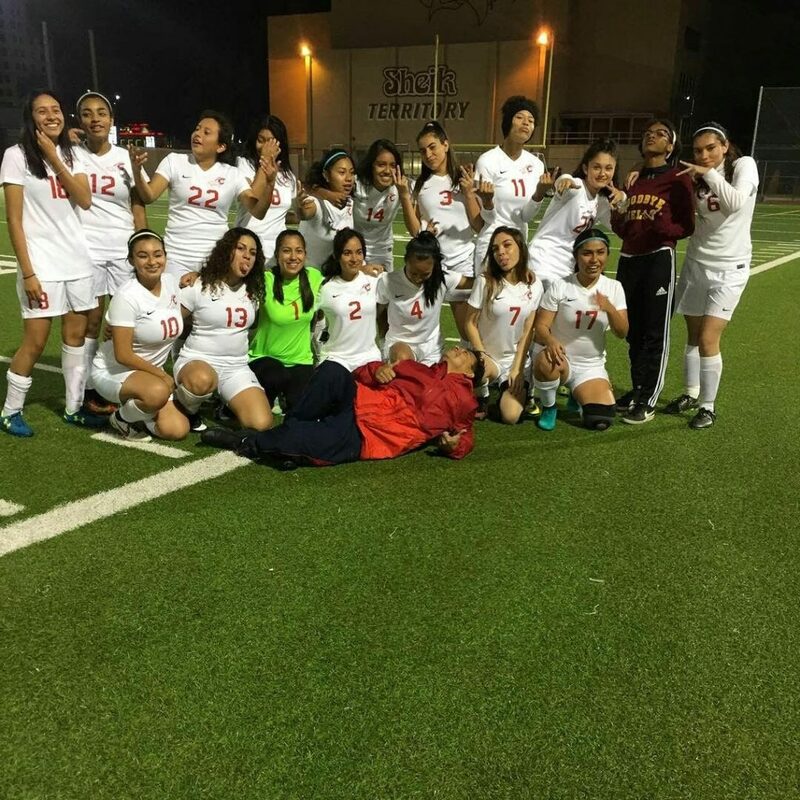 The varsity girls’ soccer team earned their reputation in the league by finishing their 2015-16 season undefeated, and even making it to the second round of playoffs. By raising other teams’ expectations with last season, the Lady Sheiks had to battle even harder to keep their number 1 spot. That spot was intact, until Monday, Feb 6. The varsity girls suffered their very first loss during season and consequentially, they fell to second place, right under Miguel Contreras High School. They lost 1-0, to a single free kick. This was the fifth game the Sheiks have played since they had battled Belmont High School, who injured three of their players, including both main forwards. This loss didn’t affect the girls though, winning three and tying one out of the four games they played before MC. It will be a tough battle for the Sheiks. They have one more game on Feb 9 against RFK, until they face the Lady Cobras again on Feb 13, the Sheiks’ senior night. It all depends on that last game whether the Lady Sheiks can take League Champs for the second time, or if they would have to give up the short lived title to the rising stars, Miguel Contreras. Come watch the Lady Sheiks battle against the Lady Cobras for the title on Feb 13 at 4:00 pm on the field.